1. 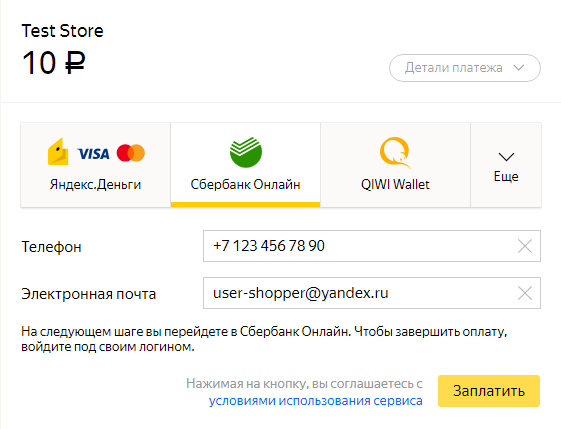 Select the Sberbank Online payment method in the store where you are going to pay, or on the Yandex.Checkout page. 2. 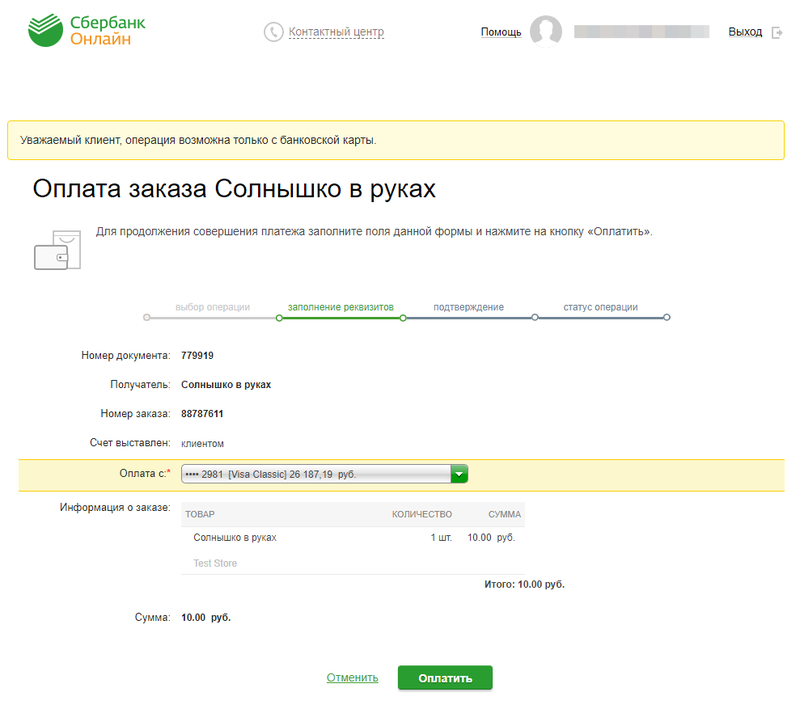 Indicate the phone number linked to Sberbank online banking. Specify your email address to get a receipt. 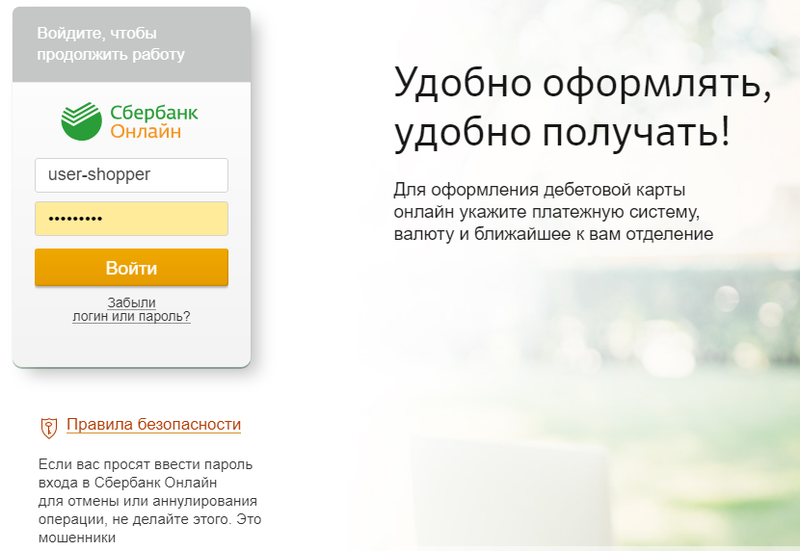 Click Pay and you'll be redirected to the Sberbank Online website. Sign in with your username and password. 3. The Payment for order page opens immediately after you log in. Select the card that you want to debit the money from and click Pay. 4. 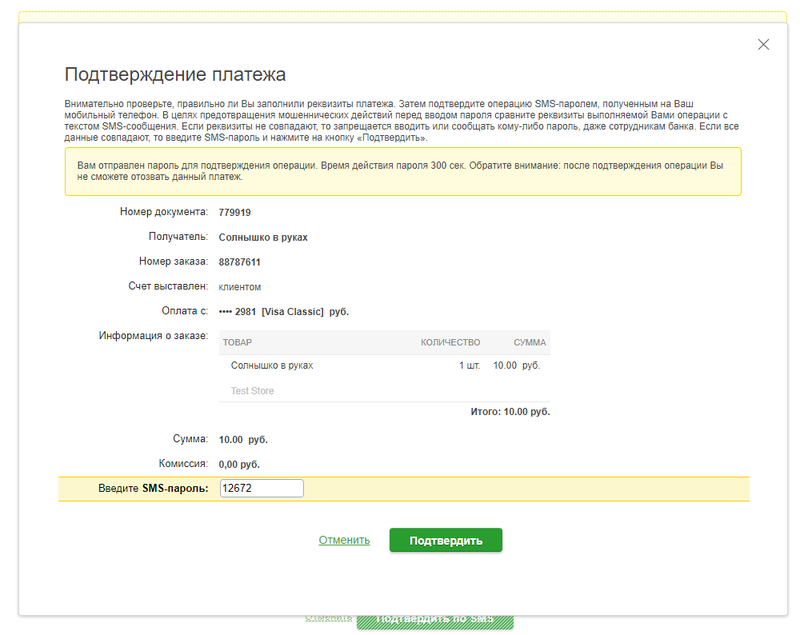 Check the payment details, and click Confirm via text message. 5. You will receive a text message password to your smartphone. Enter it in the special field and click Confirm. 6. 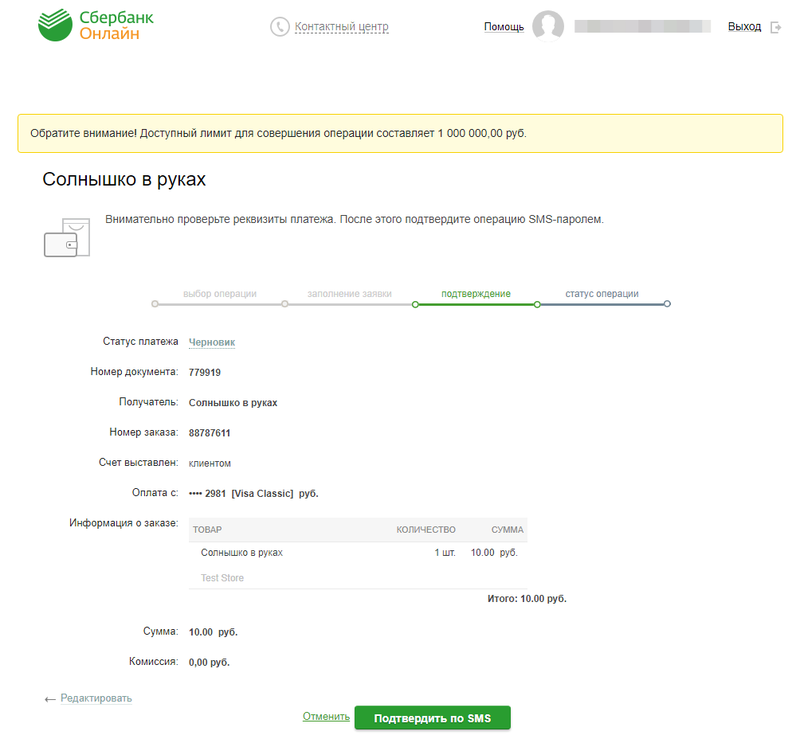 The payment status will change to Processed by the bank. Click Proceed. 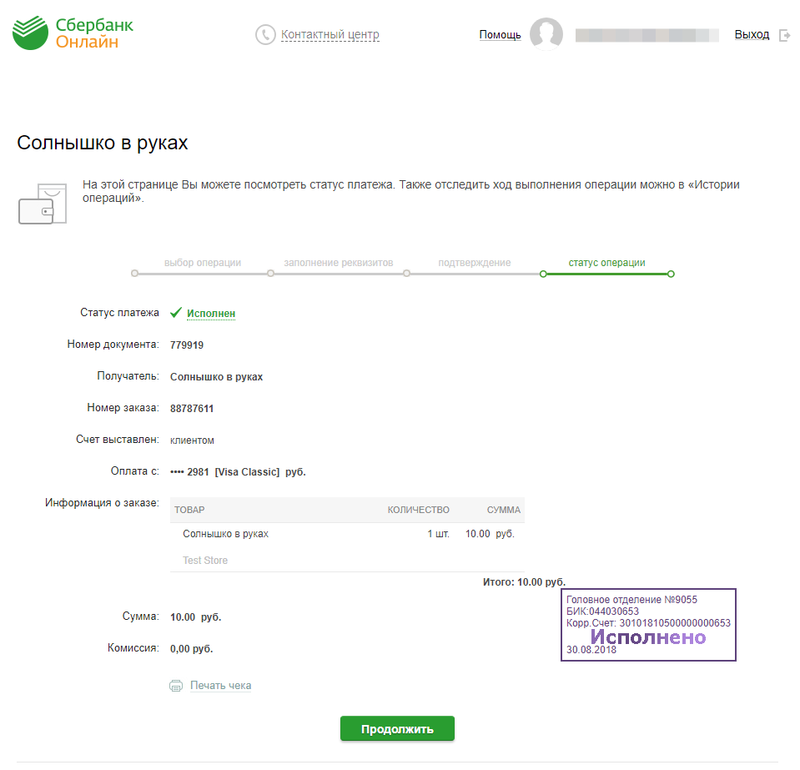 When the processing is complete, Sberbank will send you a text message about the successful payment.